Various experiments are performed for detecting engine characteristics. In these experiments some values are kept constant; for example, engine power, torque and fuel consumption is measured as the values, depending on these motor characteristics are obtained by making a calculation. 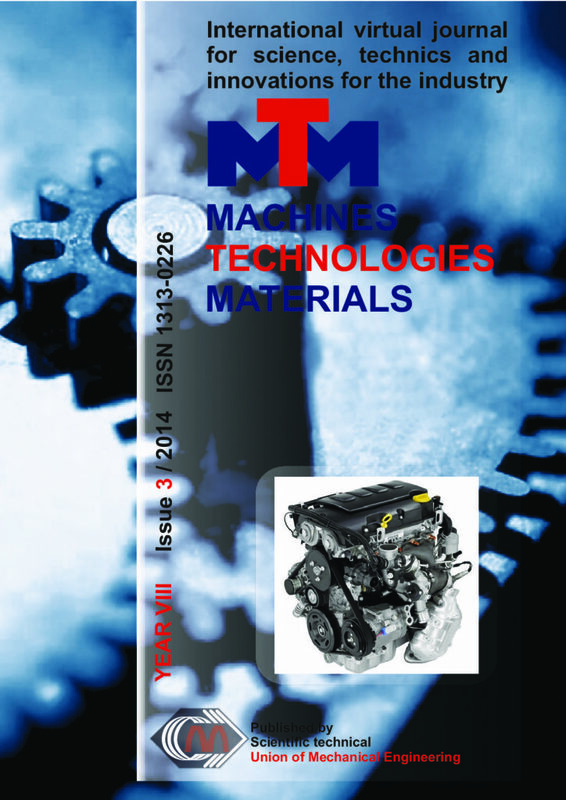 In this study, the simulator program is designed for analysis and synthesis of engine’s characteristics. The program , according to data obtained and entered the engine curve to be drawn (numerical or graphical), to examine the changes interactively based on input parameters, calculations are done for the value cannot be measured, and many other features. Thus, in order to obtain characteristics of the engine or in the expression-related issues provides great convenience for understanding and education. We have tested typical samples of fuel (diesel, gasoline, technical gasoline and a mixture of unknown fuel). For fuel analysis we have used an analyzer IROX DIESE with an in-built infrared interferometer of Michelson’s type. The results proved that within a wavemeter from 650 up to 1800 cm-1 for each fuel there is a typical infrared spectrum. This spectrum can be compared with human fingerprints. It is possible to positively identify the majority of fuels with the usage of these spectra. Moreover in case of unknown mixture, it is possible to use these spectra for determination of their mutual ratio. Postal network is the most developed and complex logistical infrastructure in the world. The complexity is determined by the number of participants, which either require or perform postal services and by manipulating with a large number of postal items handling billions of them on daily basis globally. A basic request is that the shipment is transferred safely and on time to the recipient. A mass production, many sorting points in the supply chain and variety and stochasticity of delivery addresses are aggravating circumstances for this goal fulfillment. Accordingly, postal operators need the most advanced technological systems for sorting and processing. This paper proposes the concept of addressing based on the three levels of postal units and the software application created for the routing of postal items in the system of this kind. The traveling salesman problem (TSP) is one of the most studied problems in management science. Optimal approaches to solving traveling salesman problems are based on mathematical programming. But in reality, most TSP problems are not solved optimally. When the problem is so large that an optimal solution is impossible to obtain, or when approximate solutions are good enough, heuristics are applied. Two commonly used heuristics for the traveling salesman problem are the nearest neighbor procedure and the Clark and Wright savings heuristic. In this paper will be present using of the solver software and principles of TSP for optimal solution of vehicle routing for domestic bottled water and different juices in the different parts of the Republic of Macedonia. Transit of surface waves through defects in steel surfaces has been viewed in this paper. The form of registered signal is changing as result of complex wave processes in the area of defects. The received signals are digitized and phase-spectral analyses are have been made. If there is a defect in the surface of the samples it shifts the phase of the Rayleigh wave. The phase shift depends on the size of defects. The results obtained can be used for the creation of innovative technologies with improved resolution for testing of surface and subsurface defects in the practice of non-destructive testing.